Yoga Trinity offers comprehensive training in Thai Yoga Massage both for personal development and professional accreditation, and is the only Lotus Palm certified school in Australia. Courses include study, practice, and experience not only in giving a skillful and highly beneficial massage, but also in cultivating a successful and rewarding professional Thai Yoga Massage practice. Open to anyone wishing to develop the skills to build a professional practice. Each training level includes a dynamic and practical training course followed by a series of practice massages that you will complete at your own pace. Begin with the Essential Level Certification and begin to build a rewarding career in just 10 days. Upon completion of the Essential Level Certification, you can undertake any of the Continuing Education programs, in any order, to refine your skills, learn new techniques, and develop your Thai Yoga Massage practice and business. How to customize massages to accommodate common ailments and people of different sizes and flexibilities. • How to create a customized 2-session Thai Yoga Massage wellness program incorporating massage sequencing, as well as nutritional, lifestyle and yoga recommendations according to a person’s body-type. Anyone can take the Taster and Level 1 Practitioner Training programs; they are great skills to share with family, friends, yoga students or clients. Levels 2-4 are available to those who have completed the Level I Practitioner Training program. 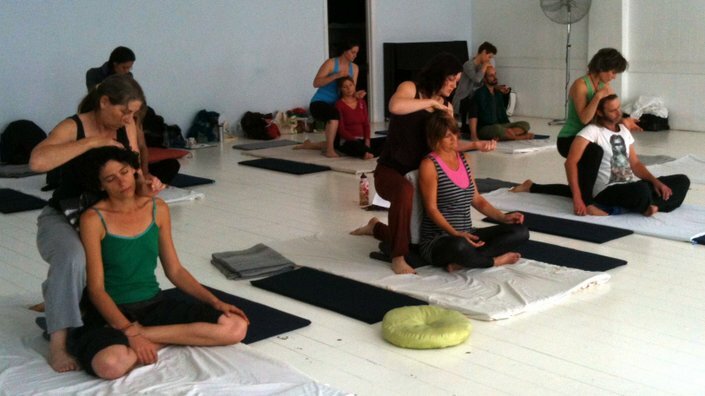 These courses are ideal for yoga teachers, fitness professionals and massage practitioners wanting to diversify their services, but also are open and accessible to anyone who wishes to share the power of touch. Some Continuing Education programs are available to graduates of other Thai Yoga Massage schools – please ask us about our bridging program. If you are already insured as a yoga teacher or body worker, the process is simple and usually no additional cost to add Thai Yoga Massage to your policy. For instance in the case of OAMPS, Thai Yoga Massage is a recognized modality and adding this to your policy is free. Check with your insurance provider for more information. If you are not currently registered/insured, check out membership bodies like www.iict.com.au to see if you qualify. Can I Practice Professionally After Taking These Courses?